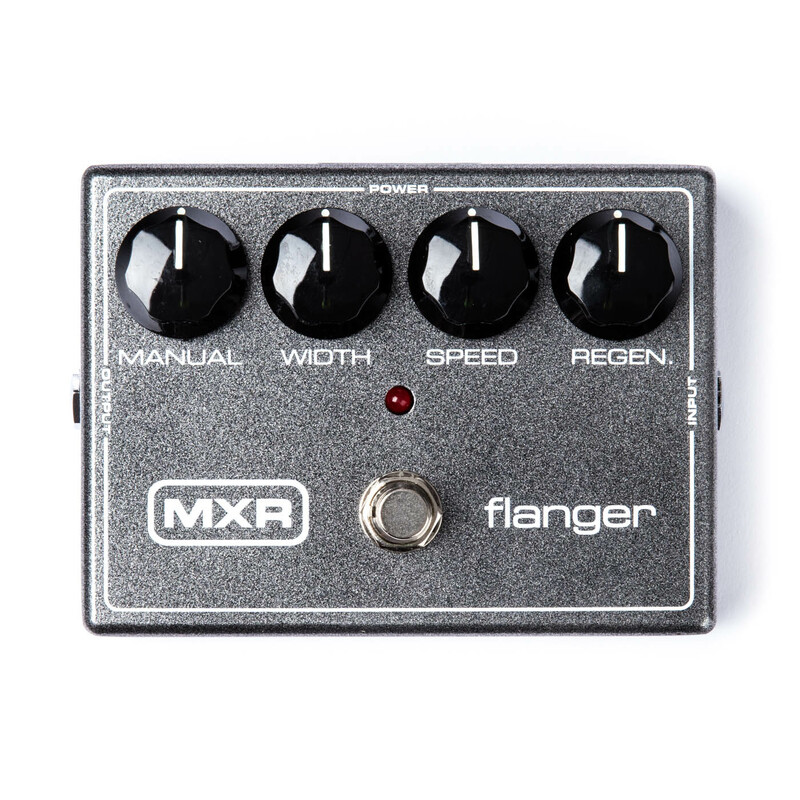 Back by popular demand, the MXR flanger creates a variety of wild sounds from dynamic jet plane or cool space effects to short delay, chorus and vibrato. Back off Width to zero to disengage auto-sweep, then use the Manual knob to physically place the effect anywhere along the frequency spectrum; Use with guitar, bass, keyboards or vocals! Regen knob feeds effect back onto itself at adjustable intensity, increasing the total phase effect.